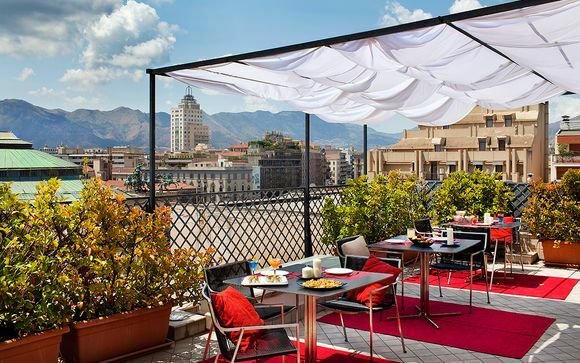 Holidays to Palermo up to -70% off To take advantage of these offers, join now for free! 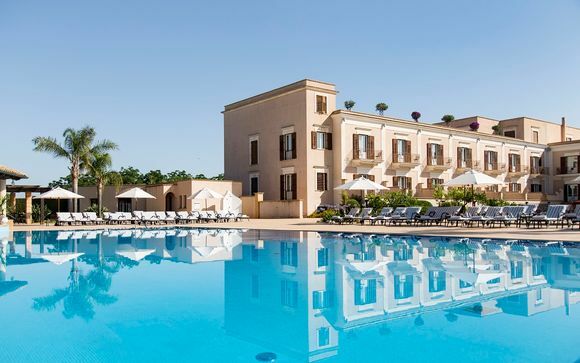 Enjoy luxury holidays to Palermo with Voyage Prive and experience a historic city offering the essence of Sicily entwined with exotic influences; book online today. 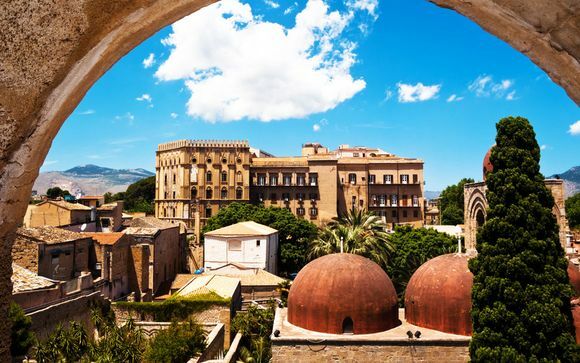 The capital city of the beautiful Italian island of Sicily, Palermo combines the best of Italian culture and heritage with its own characteristics and magic. The word unique is often used, but never more appropriate than when describing the surreal beauty of this fascinating city. It manages to make a virtue of its shabby chic ancient buildings and certainly gives an authentic flavour of Italy at its finest. 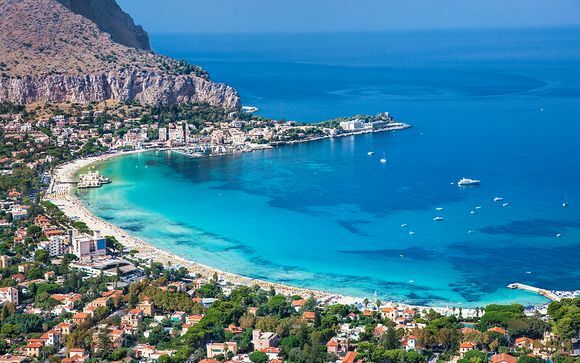 As Sicily has been invaded many times over the centuries, holidays to Palermo offer you eclectic influences and cuisines from around the globe, including Spanish and Arabic. What a place to explore and soak up history. 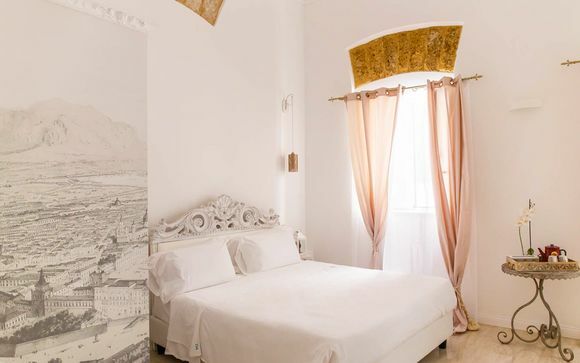 Palermo's bewitching labyrinth of architectural splendours includes baroque palaces, sun-drenched courtyards, noble statues and a crosshatch of shadows from pillars and arches. You can also find quiet nooks to just sit and soak up the incredible ambience of this scenic city. However, Palermo is characterised by dynamic street life. This includes families coming out for their traditional evening promenade, known as passeggiata. There are also wonderful street markets to browse, particularly around Piazza Ballarò, Piazza San Domenico, Via Sant’Agostino and near the bustling port. 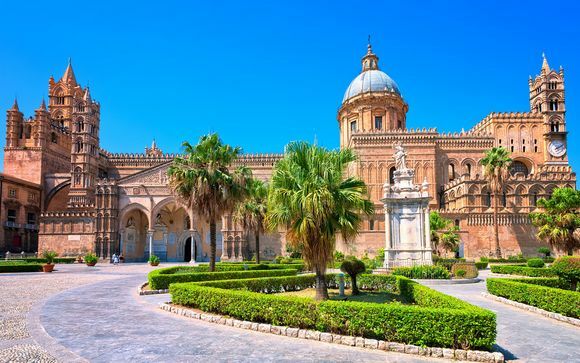 High on your list of the many sites and experiences to enjoy on your holidays to Palermo is a visit to the breathtaking buildings erected by Norman kings who conquered Sicily in 1072. This includes the indelible legacy of the sophisticated royal court far ahead of its era. It all adds to the heady combination of Romanesque architecture, Arabic domes and Byzantine mosaics that make Palermo so utterly engrossing. With so many attractions it's hard to choose highlights, but certainly Palazzo dei Normanni on Piazza Indipendenza is memorable. This includes its Palatine Chapel showing biblical scenes in golden mosaics. However, the mosaics in the cathedral at Monreale, south of Palermo, show Byzantine artistry at its finest. Sun, sea and traditions entwine throughout Palermo and there's beauty around every corner. During your holiday to Palermo, you could treat yourself to an evening at Teatro Massimo, which is Europe’s third-largest opera house. Reminiscent of a Roman temple this magnificent building attracts major stars. The colourful nightlife in Palermo includes a wealth of dining experiences; a millennium of ethnic influences tangled together in cafes, restaurants and bars. Locally caught fish and shellfish are deliciously prepared everywhere but head for Piazza Marina for a particularly lively evening, or seek out opportunities to dine outdoors at restaurants offering views of the gardens of Villa Garibaldi and the Garaffo Fountain. 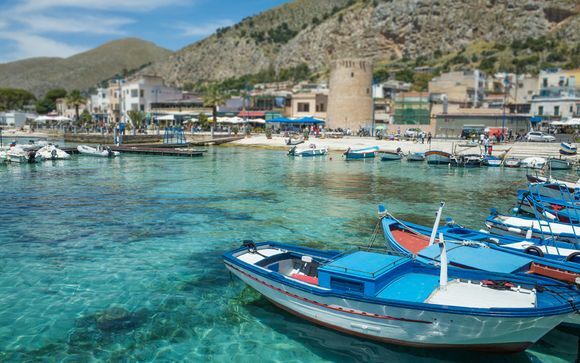 A holiday in Palermo gives you an opportunity to explore the beautiful island of Sicily. A short journey outside the city will bring you to Solunto, the most-excavated site on Sicily. It is an entire Roman town with incredible sea views, murals and mosaic floors, and even an amphitheatre. To experience all the sensory joys of this truly different and multifaceted Italian city, simply register with us today. 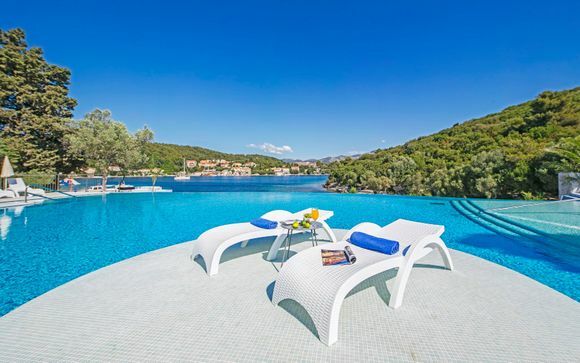 This opens the door to the latest travel destinations and inspiration, handpicked choices on luxury hotels and unmissable exclusive deals. 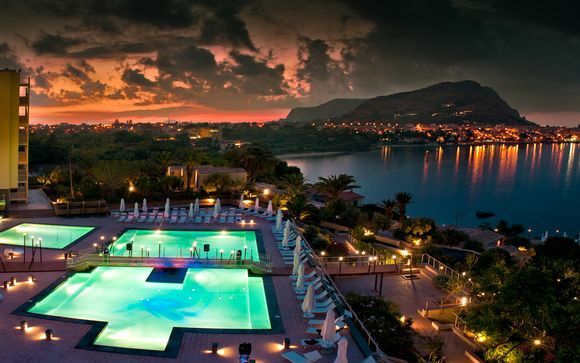 Your holiday to Palermo is sure to be a magnificent and memorable experience. So why not add to the magic by enjoying exceptional discounts too?